As POPSUGAR Insights found in its "Sight, Sound, & Emotion" report, women seek video that "entertains," "informs," and "inspires." Millennial women are no exception. For marketers trying to connect with this younger female subgroup, getting the tone, environment, and message right is even more important. It's important to note that this audience is cross-platform: the majority of millennial women now watch video several times a day across desktop, tablet, and smartphones, according to a recent study from Yahoo. Brands must ensure whatever video strategy they develop works on mobile devices as well as on desktop. Brands can accomplish this by pushing video content to apps, by distributing branded content to heavily watched mobile sites, or by purchasing video ads on top mobile ad networks. But those tactics are just table stakes. The real question remains: what do they want to watch? Content that's authentic. Regardless of your industry or brand, top-performing video content stays true to your brand values. Whether it's Nature Valley's encouraging young women to "Get Out There" and pursuing a better life while fueled by Nature Valley energy bars or or Aveeno's teaming up with Refinery29 to teach women about skin care, these brands understand that video is a great way to communicate their values in a positive, entertaining way. Content that's personal. High-quality video need not be trendy or celebrity-filled to drive results. In fact, some of the best video campaigns for millennials feature employees and customers. Take REI, for example, which put the spotlight on its employees, who answered customers' tweets requesting holiday gift ideas with custom videos. Knowing that women crave how-to content, Lululemon similarly shares short, useful video tips, including how to style your hair "from work to workout." Even when Lululemon features celebrities and influencers, as it does in this "Elite Brand Ambassador" video, the stories the celebrities share are intensely personal. Content that inspires self-fulfillment. Millennials seek content that helps them achieve their best selves, from online tools and apps (40% have more than 20 apps vs. the average consumer, who has fewer than 10) to videos with advice on how to organize their lives and achieve their professional and personal goals. While the desire for authentic, personalized video content that inspires self-fulfillment may make millennials seem self-centered, this demographic also finds fulfillment through charity work and altruism. More than any other group, millennials support brands that support causes. Verizon's recent "Inspire Her Mind" campaign brings the concepts of self-fulfillment and cause marketing together. 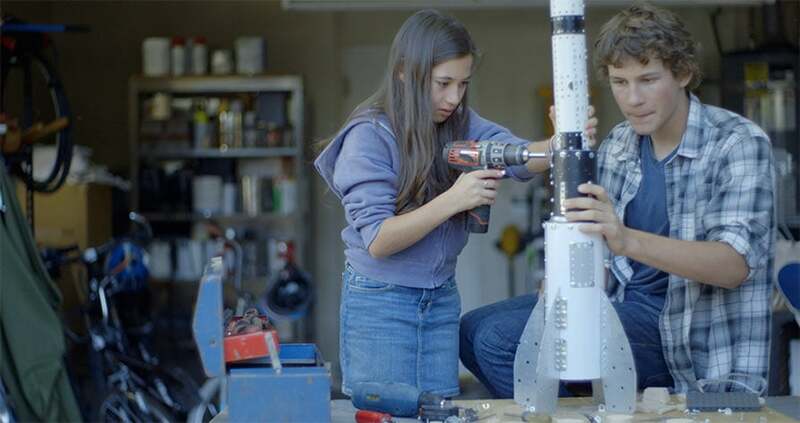 Through a beautiful video series and online resource platform, Verizon makes a bold statement, helping support the role of women in math and science. The media landscape is cluttered and fragmented. Brands that create content that informs authentically and inspires personal fulfillment will be the ones that succeed. Kristin Kovner is a marketing strategy consultant. Her firm, K-SQUARED STRATEGIES, helps high-growth media and tech companies develop and execute best-in-class marketing strategies.